It may come as a surprise: a classic watch brand such as Chronoswiss to dedicate a limited edition to a cryptocurrency. This is however not as strange as it perhaps seems because when Chronoswiss was founded quartz was still the way of the future. History told us otherwise, and Chronoswiss was ahead of that curve. By embracing cryptocurrencies, Chronoswiss shows us that they still have that future-focused outlook. The result of that is that you get the best of both worlds: the time-honoured traditions of mechanical watchmaking yet in a modern design, which can be bought through an online auction, and paid with, of course, cryptocurrency. Chronoswiss will start off its Flying Regulator Open Gear Blockchain Series with a version dedicated to perhaps the best known cryptocurrency of them all: Bitcoin. The basis for this limited edition of 101 watches is the watch that was awarded last year the prestigious Red Dot design award: the Flying Regulator. Historically this is an important complication for Chronoswiss, as it was the predecessor of this watch which played an important part in establishing the reputation of the brand among watch connoisseurs. For the Bitcoin limited edition, Chronoswiss customized the watch however extensively. The case has a black coating of Diamond Like Carbon, also known as DLC. The benefit of this coating, apart from its looks, is that it is very difficult to scratch, ensuring that the Chronoswiss will maintain its good looks over the years. Of course, there are many references to Bitcoin, with its repeating logo forming the background of the dial. This logo also returns on the dial for the sub seconds, adding an extra effect to the already very three-dimensional dial setup. 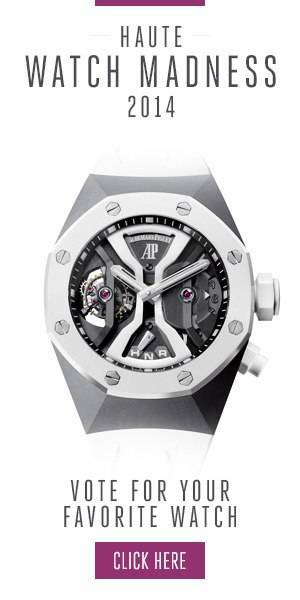 Also, the back of the watch isn’t forgotten, with a reworked rotor, once again referring to the Bitcoin. This also shows Chronoswiss dedication to the project, as it is not simply printing a logo on the dial, but rather the redevelopment of an existing model, and bring it in line with the style and taste of the Bitcoin community. The auction for the Chronoswiss Flying Regulator Open Gear Blockchain Series Bitcoin will start on April 13th at Zaif.